Waxing is not without a level of discomfort. 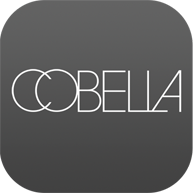 But, under the diligent care of Cobella’s experts, you can be assured that every effort will be make to ensure your treatment is as pain free as possible. You will be asked to complete a consultation form with various medical details. For first time waxing, we will ask you to undergo a patch test 24 hours before your treatment. Hot wax reduces the painful effect associated with waxing and allows for more frequent visits. Best suited for smaller areas, it causes little discomfort as it adheres to the hair rather than the skin. Strip wax is thinly applied with a spatula and removed with a strip. This is ideal for larger areas. Ensure you gently exfoliate your skin and moisturize once a day at least a few days prior to your waxing appointment. Treatments or activities that involve heat, such as steam, sauna, sun beds and exercise are not recommended before or after waxing. Avoid undertaking any skincare treatments within 48 hours of waxing. For long term improvements, book in for regular treatments and do not shave between appointments.